I have a soft spot for guinea pigs. I fostered a few for Ratical Rodent Rescue, and then cared for the most amazing piggy named Gaia. 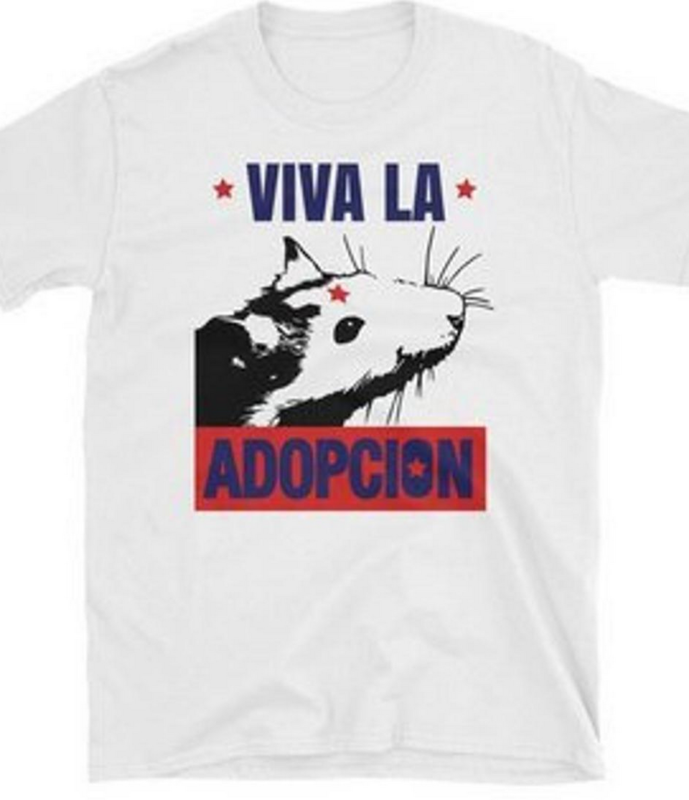 Get this shirt to help guinea pigs, rats, mice and other smalls, also known as “pocket pets” rescued by Ratical Rodent Rescue. ABOUT RATICAL RODENT RESCUE: RRR, formerly known as North Star Rescue, is run by founder Jenn Paz who is a brilliant rodent expert who showed me the amazing world of rats, mice, and guinea pigs. Notably, she has taken in animals rescued from testing laboratories and offered sanctuary care. Learn more at RaticalRodentRescue.org.